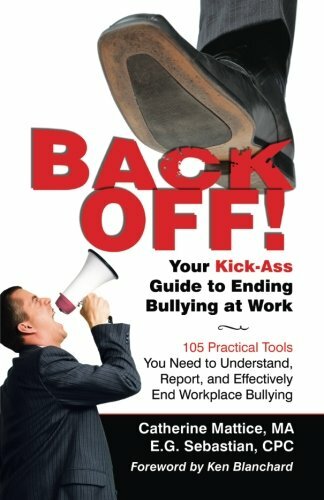 If you re looking for actual, tangible advice to end workplace bullying, then this is the book. BACK OFF! will arm you with the information and guidance you need to successfully navigate your way through the turmoil of dealing with workplace bullying and the managers who may deny your experiences are genuine. We even offer an entire chapter on preparing to talk with HR, complete with a worksheet to make sure you are successful in gaining their help. BACK OFF! provides practical tools and case studies you can use to make change and end the bullying.